Thousands of professional dancers, choreographers and teachers from all over the world, come together, work together, for five weeks, in one city – ImPulsTanz. 1984. In Austria‘s leading cultural city Vienna the cultural manager Karl Regenburger and the choreographer Ismael Ivo launch the Internationale Tanzwochen Wien in order to give contemporary dance a voice in Austria. With six teachers – amongst them the well-known Joe Alegado, Germaine Acogny and Walter Raines – and twenty workshops, the two organizers get the festival started. A new dance culture unfolds itself and spreads out. Four years later a performance element is added to the increasingly successful workshop festival. 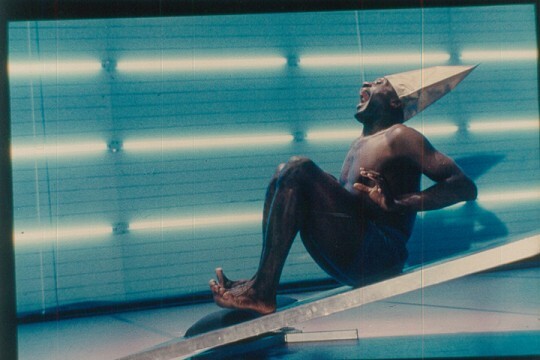 In 1988 the ImPulsTanz Vienna International Dance Festival is introduced for the first time, featuring works by Wim Vandekeybus, Marie Chouinard and Mark Tompkins. All names that are still closely connected with ImPulsTanz, which meanwhile has grown to Europe’s biggest contemporary festival. In his new work Philipp Gehmacher takes the idiosyncrasy of his movement language as a starting point to examine together with performer Jack Hauser the promises and the failings of language between identity, communication and dissociation. His “solo with Jack” juxtaposes the utopia of language as a shared, socially binding system of meaning with an artistic practice that unfolds its autonomy alongside the desire to be part of something. So what do we truly become when we share a language? A magic trick is the epitome of the bourgeois concept of entertainment. – Whether this is true or not, the Viennese choreographer born in France, Anne Juren, takes the audience to the magic realm of art with effective tricks. At one point, she conjures up Marina Abramović, at another Valie Export. Yoko Ono and Carolee Schneemann make an appearance, and we also get to visit Martha Rosler’s kitchen – à la Juren. You can’t help laughing. Because it’s not simple imitation but always a trick, a joke with a deeper meaning. And sometimes it hurts. It has to, because “Magical”, which was created in collaboration with director Annie Dorsen from New York, isn’t simply a harmless satire on stage magicians but a sting, a cut and a titillation against the background of feminist discourse. Oversized graphic apparatuses and fantastic flight experiments, magical effects and rationalistic analyses of movement let Andrea Maurer and Thomas Brandstätter’s Viennese Studio 5 take off. 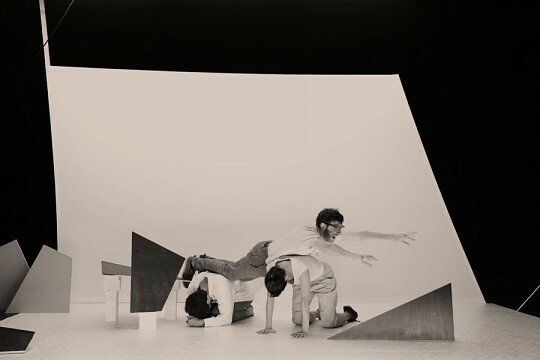 In the fourth part of the series “The Impossible Movement”, six performers work on the production of a series of animation film sequences that are juxtaposed with real sequences of contemporaneous movement. In the scope of a movable installation, the paradox attempt is made to reconstruct different manifestations of early cinematography: “The Short Cut” thus creates a fragmentary pictorial landscape, uniting film, choreography, performance and installation. A naked sphinx, with her legs in a white sack and a butcher’s knife for crutches. A body hanging from the ceiling like a carcass. And Ismael Ivo convulsing, gasping for breath. Johann Kresnik, who is originally from Carinthia, emigrated to Germany. His choreographic theatre operates with powerful images. 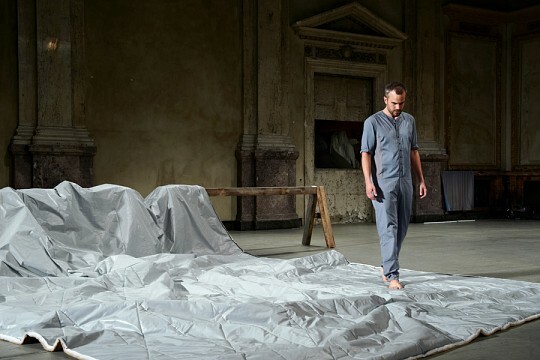 After sixteen years, his piece “Francis Bacon” (set and costume design: Penelope Wehrli) returns to Vienna, with African-Brazilian dance star Ismael Ivo dancing the main part. 20 years after Bacon’s death, the famous artist’s paintings have become iconic, 21 of which have been translated into choreographies, confronted with the intensive noise music of Paolo Chagas. One of them is the Brit’s zombie-like caricature of Velazquez’ picture of Pope Innocent X. Kresnik goes one step further, distilling a violent, forceful portrayal of the state of the world from Bacon’s inner feelings – a desolate chasm in which a man of pain plays his ambivalent game with relish.